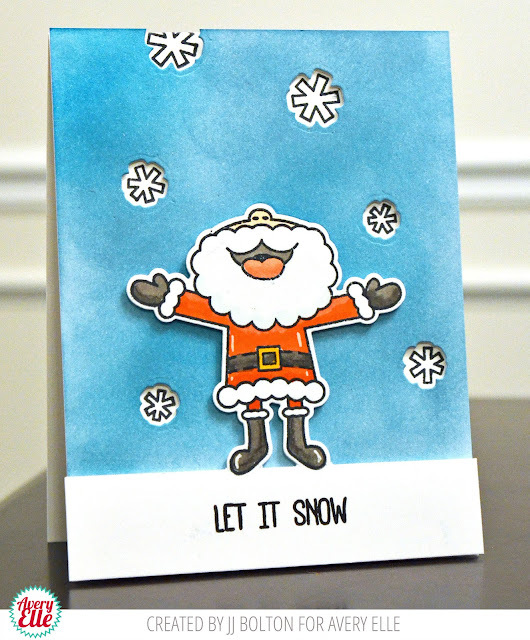 I'm chugging along with my holiday cards and I have one to share using the Avery Elle Oh What Fun stamp set and coordinating dies! Oh, so cute! I love your nested reverse cuts technique and how you blended your inks on the background...so pretty!